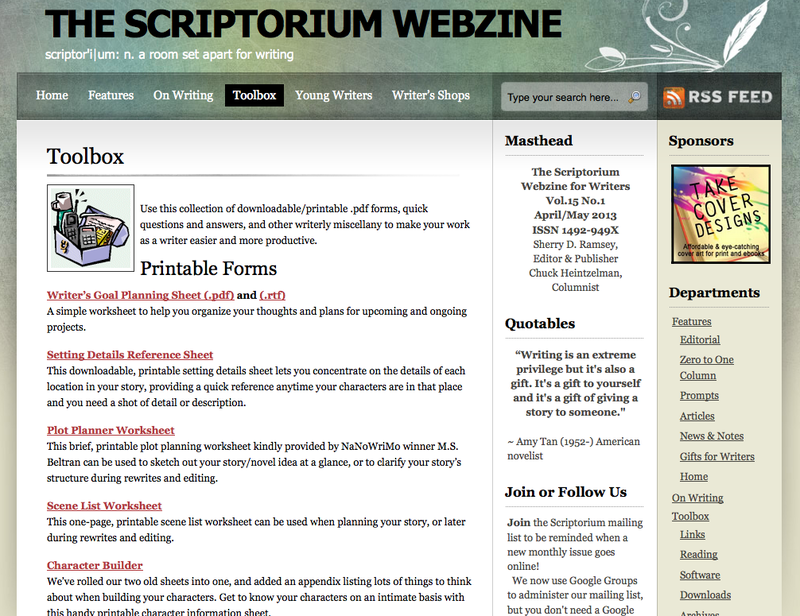 This lovely site has monthly issues which include articles, interviews, exercises, book reviews, and more to help you as a writer. But the most useful thing that I often come back to is the site’s toolbox which includes downloadable/printable forms. Everything from Writer’s Goal Sheets to Critique Forms.